Beautiful close up ecology nature landscape. Nature meadow. 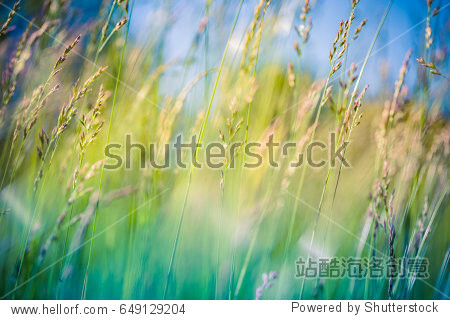 Abstract meadow background. Flowering green forest spring summer sunlight. Blurry forest background with copy space. Nature concept.